Prime and Standby Power Supplies (PSPS) a wholly owned Zimbabwean company trading as Engen Mineral Road (Depot Masvingo) has partnered with British Oxygen Company ( BOC Gases) for a multi-million industrial storage site to provide Liquefied Petroleum (LP) Gas for domestic and industrial use in Masvingo province and the entire southern region. The project is attracting an investment of over $800 000 and the company will stretch its supply to a radius of 300KM, according to its manager Samuel Makuvire. The project, fully licensed by all authorities such as Environmental Management Agency (EMA), Masvingo City Council and Zimbabwe Energy Regulatory Authority (ZERA) will help alleviate unemployment in the province. 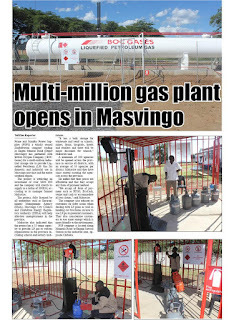 Makuvire also indicated that the project has a 15 tonne capacity to provide LP gas to various organisations in the province including schools and tertiary institutions. "It has a bulk storage for wholesale and retail to schools, mines, farms, hospitals, hotels and retailers and there will be major discounts for schools," Makuvire said. A minimum of 100 agencies will be opened across the province to service all districts, with an average of 10 agencies per district. Makuvire said they have since started scouting the agencies across the province. He added that their prices are affordable and that they accept any form of payment method. 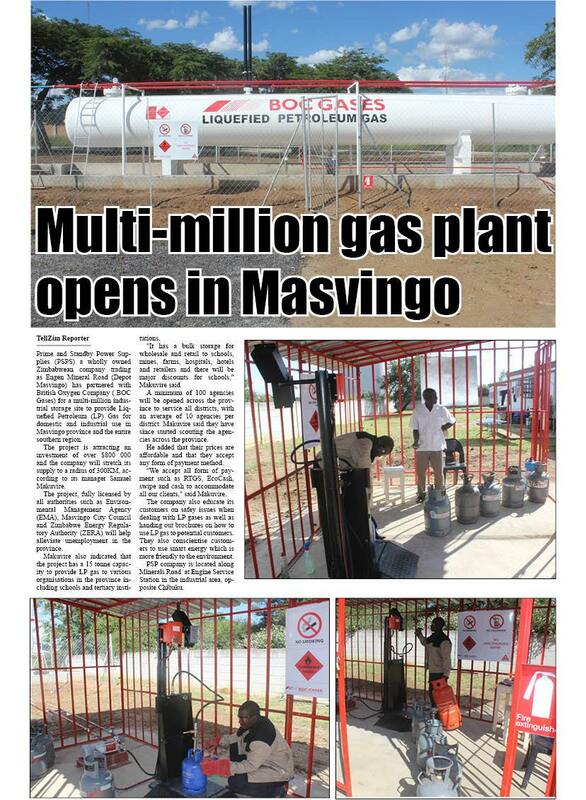 "We accept all form of payment such as RTGS, EcoCash, swipe and cash to accommodate all our clients," said Makuvire. The company also educate its customers on safey issues when dealing with LP gases as well as handing out brochures on how to use LP gas to potential customers. They also conscientise customers to use smart energy which is more friendly to the environment.